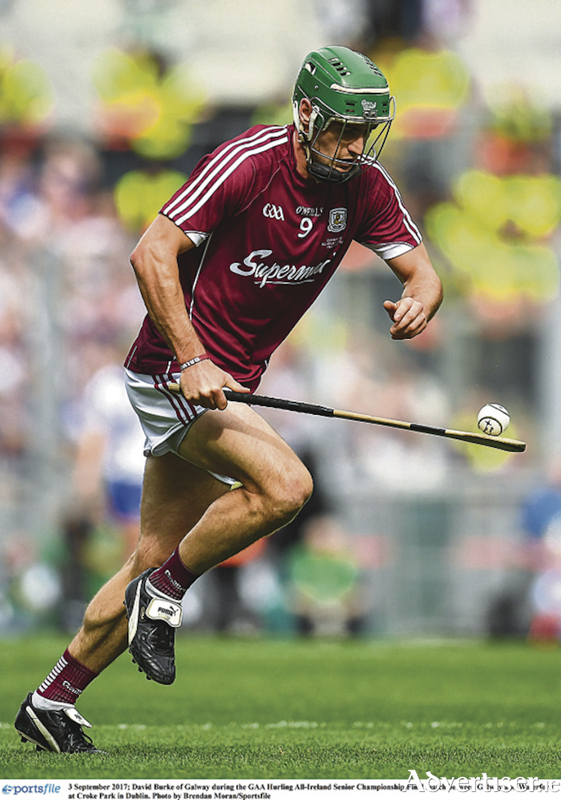 Galway captain David Burke, in productive form, is expected to join Johnny Coen in midfield. History will be made in Pearse Stadium for this is Galway’s first home game since joining the Leinster championship in 2009. Galwegians are looking forward to Brian Cody’s Cats taking on the All-Ireland champions Galway in their home patch in the Leinster championship at Pearse Stadium on Sunday (4pm ). Kilkenny arrive on the back of two wins in the new round-robin system, having defeated both Dublin and Offaly over the past fortnight. Both those victories were achieved by late goals from Liam Blanchfield, and Brian Cody will be rightly expecting an improvement in standard against Michéal Donoghue’s charges in three days' time. Kilkenny eventually beat Offaly by nine points, by 2-19 to 1-13 in Nowlan Park last weekend. However they were only ahead by three on 64 minutes before the excellent John Donnelly fired over a point and then Blanchfield got in for his three-pointer after a strong Donnelly burst. Others who caught the eye for Kilkenny were corner forward Luke Scanlon, who hit 0-4 from play, while centre forward TJ Reid notched 1-5 (4fs ). At the back Kilkenny had Pádraig Walsh and Cillian Buckley manning the central positions with Paul Murphy at wing-back. Kilkenny will need to improve their accuarcy this weekend if they are going to take down the home side. Although without Richie Hogan, due to injury, and the powerfully built Walter Walsh, with a leg muscle injury, they hit a whopping 21 wides against Offaly, and such profligacy will cost them if it is repeated this Sunday. Cody is expecting a "brilliant challenge in Salthill", saying Galway had the advantage of not playing last weekend. Galway had an easy 12-point win over Offaly in their first game, hitting 5-18. Conor Whelan and Joseph Cooney were in top form up front, and Brian Concannon also caught the eye with two smartly taken goals. Galway will be looking to the pillars of their defence, Daithí Burke and Gearoid McInerney, to get back to last season's form that saw them collect All-Stars and produce big displays when they were needed most. Team captain David Burke and Johnny Coen are expected to continue their productive midfield partnership ,and if they can gel and provide sufficent supply for the two Cooneys, Cathal Mannion, Whelan and Concannon, then the expectation is that Galway should have enought to win their first home Leinster championship fixture. No doubt Brian Cody and his panel will have a different perspective on that assessment.